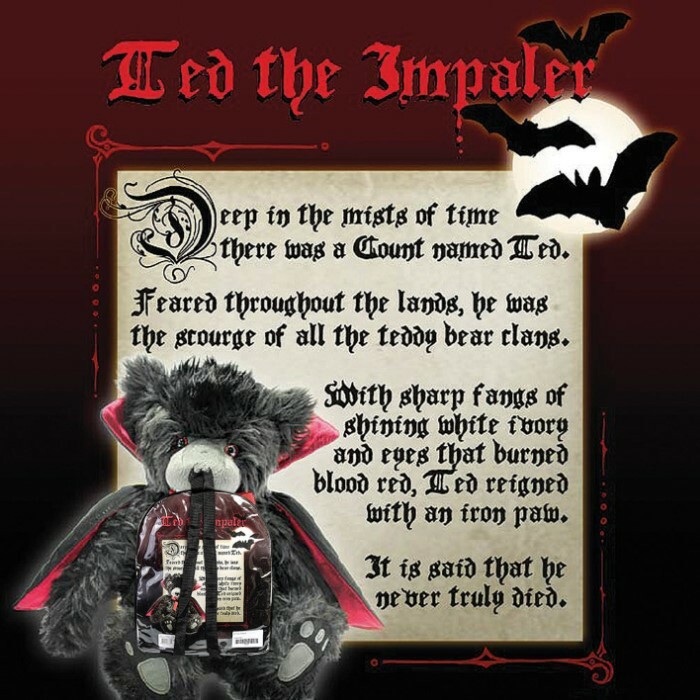 Ted The Impaler Teddy Bear | BUDK.com - Knives & Swords At The Lowest Prices! 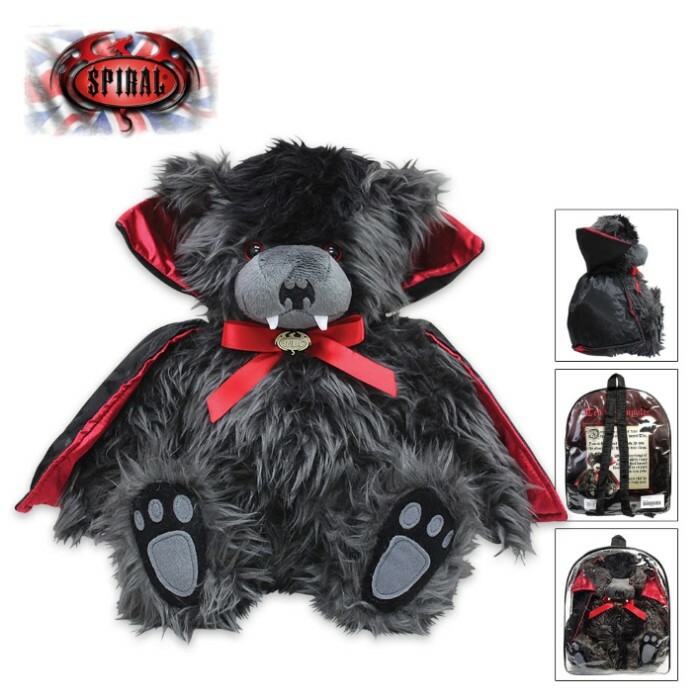 Ted The Impaler is so cute that you will gladly let him bite your neck! 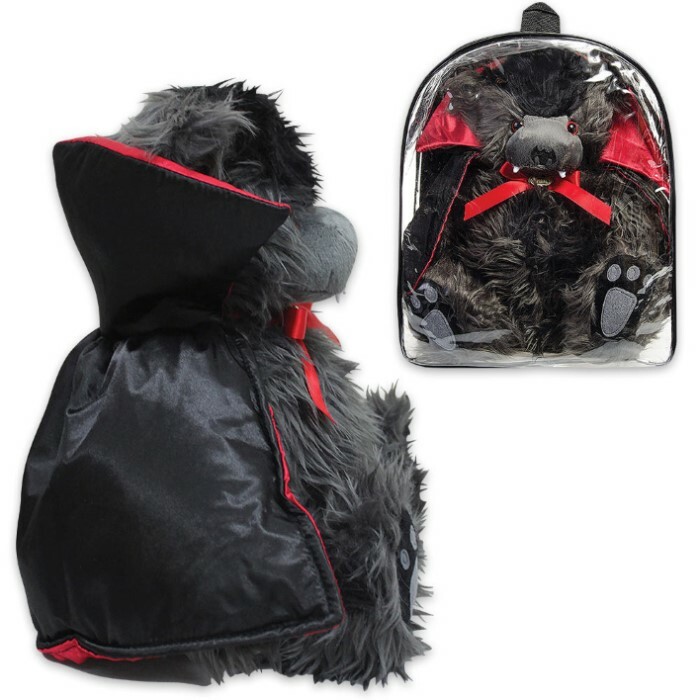 This soft, plush teddy bear is just perfect for you to cuddle up in your coffin with and “Count” your blessings each morning when you wake up to see his fanged face and stitched bat nose. He is made of soft, 100% polyester and is 12” tall.